We wrote in a recent newsletter (Binary Options, Non-binary Outcomes) that the dire headlines concerning Brexit, U.S.-China trade disputes, and U.S. government shutdown should not be taken as the end of the world. We now caution that the hope of trade agreements, politicians reaching deals, etc. will likely not lead to ebullient outcomes either. Our risk measures continue to suggest a greater period of uncertainty, which means, to us, a period of continued volatility. a period of economic digestion with a reassessment of future growth, arguing for a defensive portfolio positioning. We believe we sit in the third — a period of reassessing the rate and path of growth. From our perspective, this calls for a mode of dampening volatility until risk levels adjust. There is ample evidence arguing for this growth re-calibration. We have been watching a slow-moving global trade deceleration deteriorate at a much faster pace. China has been a growing concern for many, including us. The dramatic slowdown seen in late 2018 has continued into January. China auto sales have continued deteriorating from a bad December (down 15% from last year) to a worse January (down 17% from last year). Singapore exports, a vital port for global trade, accelerated its drop to -10% in January after an -8% drop in December. Increasing fear in unemployment by China workers may be the cause for the swift drop in China consumer spending. Time will tell if a centralized approach of stimulating a highly indebted economy to spend even more will work. It would not be so concerning for global growth if it was isolated to China. 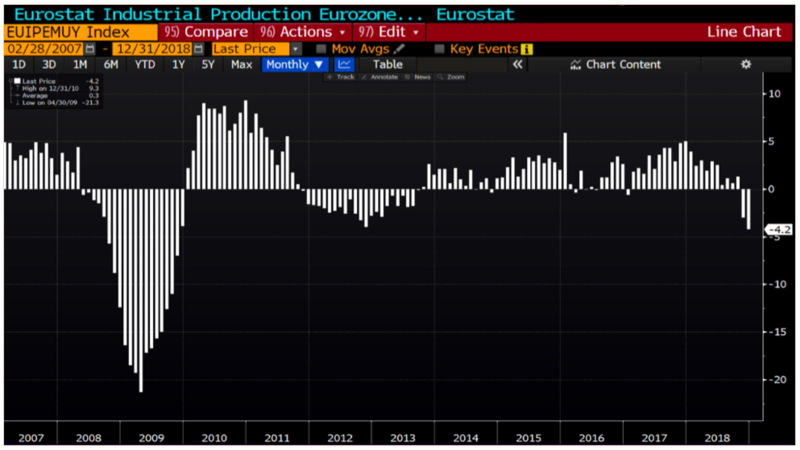 Unfortunately, the deceleration is spreading to Europe with a forceful contraction in economic activity within the Eurozone. Though Germany is flirting with recessionary signals, Italy has confirmed them with industrial production down over 7% from a year ago. The holdout has been the U.S. However, it would be hard to believe that a swift decline in the second largest economy and a material slowdown in two of the largest economies in Europe can leave the U.S. unscathed. There is a theory that the causes of recessionary periods have evolved. When manufacturing was a much larger component to the U.S. economy, recessions would result from excessive capital spending and the need to clear the slack in the system. Many speculate that as the U.S. has moved to a services-led economy, contractions can occur faster, driven by a deterioration in consumer sentiment. With sentiment coming off its highs, risk of a slowdown increases. This suggests to us that we continue to be in the digestive phase, needing to see more evidence before re-entering the market with a full allocation. Are market participants mispricing liquidity? We have made this letter long enough, but we do want to highlight something that will likely be a recurring theme this year. Investors have grown accustomed to ample cash sloshing around the world. The abundance of excess savings has impacted income derived from that cash. 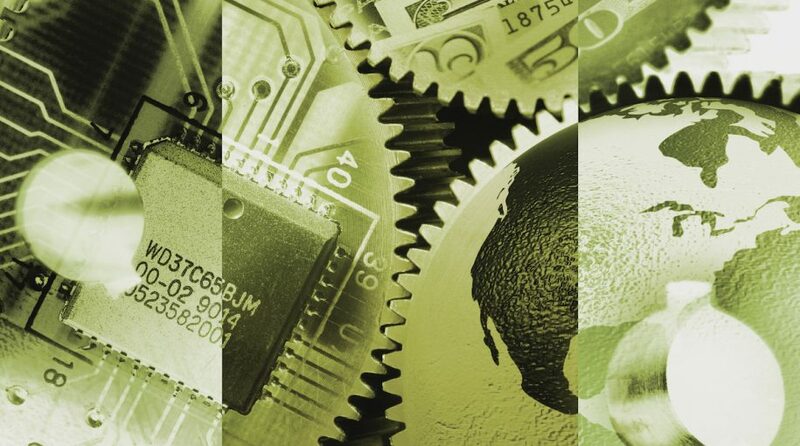 Cash shares many attributes to other commodities; the value it holds is driven by its supply relative to its demand. In times of abundant cash, lenders compete through ever lower interest rates. The dearth of safe, income-producing investment products has impacted the investments many have been making over the past ten years. With a growing segment of the population moving into retirement, investors have been putting a keen eye on methods to get a higher yielding current income stream. Unfortunately, we see them taking on more risk to gain that income as well as being willing to accept less access to their money. This strikes us as concerning. We will look to write more of this in future newsletters. The recent market whipsaws can make some regret their portfolio positioning. These short but swift ups and downs can drive one mad. Some would try to settle nerves through the meaningless analysis of ‘if you missed the ten best days of the market’ or ‘if you avoided the ten worst days in the market’ in the hopes of getting people to stay the course. We agree with the intent but not the analysis. What is missing from it is that the ten best days and the ten worst days are typically occurring within the same period and are dependent on each other. They signify a period of intense volatility. Which gets to our strategy of dampening the impact of those 20 days so that investors can make rational decisions rather than suffer emotional reactions.